Hello my dear crafty friends and welcome to my new CAS- ual Fridays post. Today I am going to share my new lovely floral card of a card made with one single CAS- ual Fridays background stamp set and one CAS- ual Fridays die . 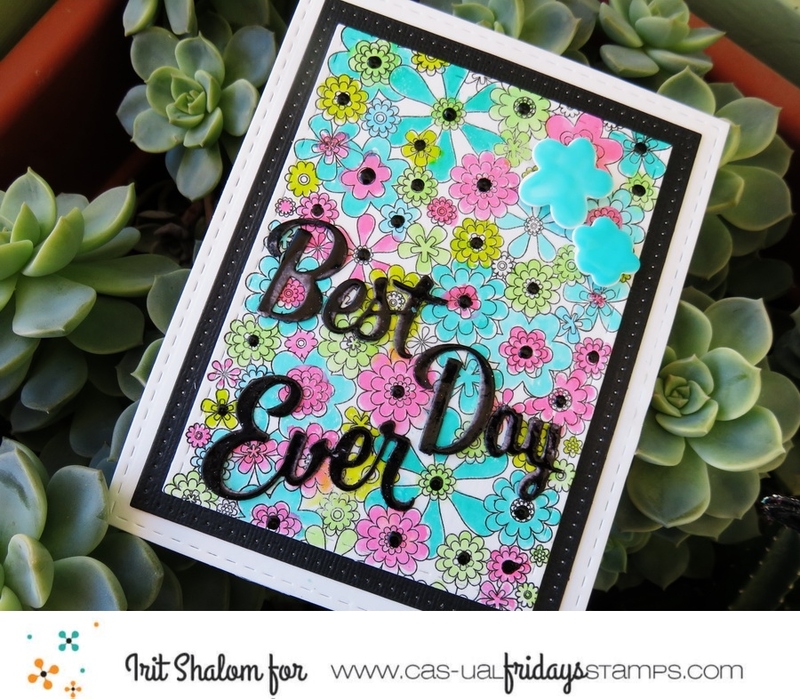 I know that it's a Winter around, but here in Israel it's a kind of a Spring and I was in this bright mood and this is how this card was born. 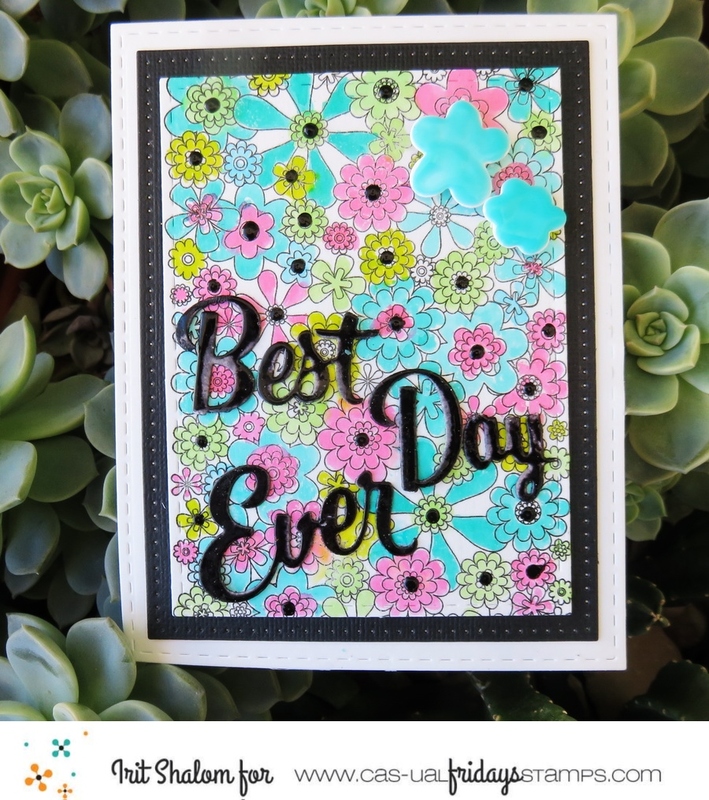 The background floral set was stamped with black pigmented ink and then heat embossed with clear embossing powder. Then I colored the floral background with watercolor markers. The title was die cut and then covered with black embossing powder and I tried to leave the part of the title non covered as the shadow. Black enamel drops were added as my flower centres all over the card. 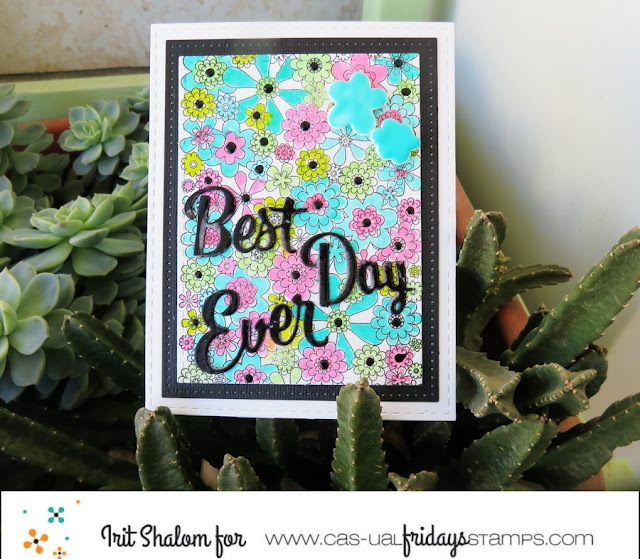 See how easy it is to make this lovely floral card with just one great CAS- ual Fridays stamp set and one single die. You sure can change the floral colors and the title can be die cut from colored cardstock or painted in another color. Hope that you like my card and you still have time to buy yourself these gorgeous stamps from CAS- ual Fridays shop and even to use our discounts. Check the discounts and subscribe to our newsletter to get the best possible prices. 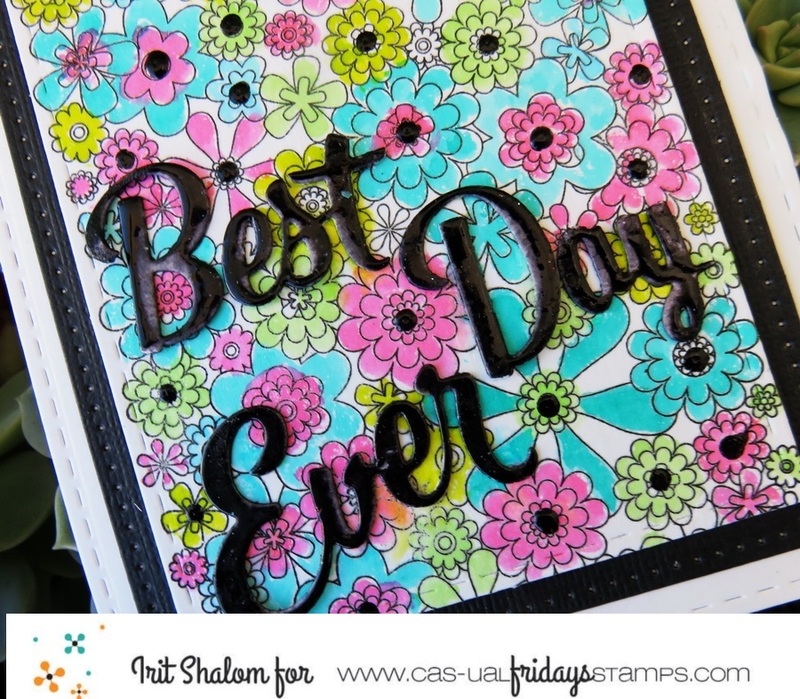 See you in two weeks with another lovely card made with CAS- ual Fridays products.